Twenty million Americans have severe acne and more than 40% do nothing about it. These statistics from the American Dermatologist Association don’t just account for adolescents. Severe acne is the most common skin disease in the US and it affects people of all ages. The good news is that severe acne is treatable when you get the right help. These five treatments for severe acne are usually recommended the most by dermatologists and skin care experts. A major cause of acne is bacterial infections in your pores. Because they kill bacteria, antibiotics were the original acne treatments. After obtaining a prescription from a doctor, you will most likely use a combination of oral and topical antibiotics to treat your acne. The more you use antibiotics, the more likely you are to develop a tolerance to them. If you aren’t seeing any improvements after three or four months, your doctor will probably recommend that you stop taking the antibiotics. Antibiotics can cause side effects like upset stomach, dizziness, or skin discoloration. Even if you don’t develop a tolerance to antibiotics, they may not be strong enough to treat your acne. Isotretinoin is reserved for the most severe acne. Since it is so powerful, most people who take it need to be monitored by a dermatologist. Isotretinoin is very effective. But because it causes so many side effects, people question if using Isotretinoin is worth it. Common side effects are dry eyes, mouth, lips, nose, and skin. It can also cause itching, nosebleeds, sun sensitivity, and poor night vision. More and more people are using chemical peels to reduce severe acne and acne scars. During a peel, a professional uses chemical solutions to remove some layers of your skin. This is supposed to stimulate the growth of new, healthy cells. After a chemical peel, your skin will feel the same way it does after you get sunburned. Peeling, redness, and scaling will occur within the next three to seven days while your skin heals. In rare cases, the chemical peel can cause skin discoloration and scarring. The cost for a chemical peel ranges from $50 and $150. Unlike most acne treatments, laser therapy does not harm the surface of your skin. It is supposed to reduce severe acne by damaging the oil glands in your skin. If you skin cannot produce as much oil, pores won’t get clogged and acne won’t form. Laser therapy can also be used to reduce acne scars. The use of laser therapy to treat severe acne has not been researched thoroughly, so experts recommend that it is only used by people who cannot tolerate other forms of treatment. Laser therapy may cause side effects similar to sunburn. Each treatment costs around $45 and you usually have to get 4 or 5 of them. Some natural acne cures may be strong enough to treat severe acne. The cures you should look for are those that have natural and prescription-strength ingredients. A great example is Nanocleanse. 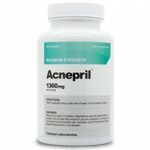 On one hand, it gives you the acne-fighting power of prescription treatments. On the other hand, it soothes and moisturizes your skin to prevent skin irritation, dryness, and itching. 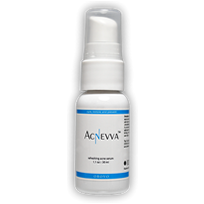 Natural acne cures, like Nanocleanse, may not be the most powerful treatments; but they are definitely the safest, easiest to find, and most affordable. Help is available for people with even the most severe acne. You just have to look for it. 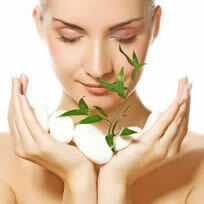 Natural acne cures are affordable and easy to obtain. Intensive treatments like laser therapy or Isotretinoin are highly effective, but they cost more and can cause side effects. If you’re not sure which method is best for you, get help from a professional. If one method doesn’t work, try a different one. Remember, the worst thing you can do is nothing.